While everyone else is queuing for the Colosseum or cramming themselves into the Pantheon, go for a stroll up Avertine Hill. If you’re coming from Old Rome, this makes for a particularly pleasant walk along the River Tiber. On the way, pop into the Santa Maria in Cosmedin, the basilica immortalised by a cheeky Gregory Peck and gullible Audrey Hepburn in Roman Holiday, where Peck’s character pretends the Mouth of Truth chomps off his hand (legend goes that Hepburn was blissfully unaware of the joke during filming, the fear on her face genuine, and the scene was done in one take). Continue up Avertine Hill, along Via del Santa Sabina and you’re in for a treat. Reach the Piazza of the Knights of Malta and look for a green door with a bronze keyhole. 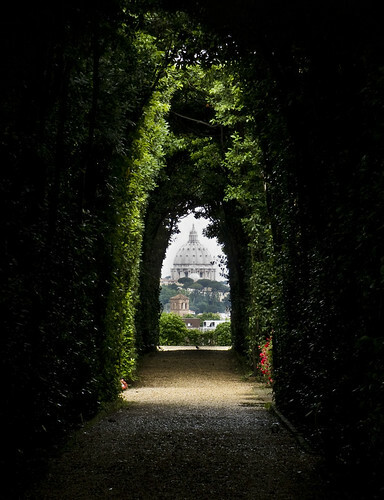 Peer through the keyhole and you’ll have, framed by arches of perfectly preened hedges, a perfect view of St Peters’ glittering dome. Enjoy a Rome city break with 3 nights and return flights from £249. Find the keyhole at the Piazza of the Knights of Malta (Piazza dei Cavalieri di Malta), 00153 Roma, Italy. No doubt you’re aware of the Manneken Pis in Brussels – the cheeky boy statue relieving himself into a fountain in a rather public location not far from the Grand Place. The bold little guy is said to be an ‘emblem of the rebellious spirit of Brussels’ – and can often be found sporting a traditional or comical outfit during Belgian holidays and events. But did you know he had a sister? The hardly-bashful Jeanneke Pis can be seen – erm, spending a penny, so to speak, in a fountain while looking rather content with herself. The statue was erected in 1987 by a local artist who wanted to give a gift to his neighbourhood that would amuse passers by. Take a weekend break in Brussels with 2 nights and return flights from £235. 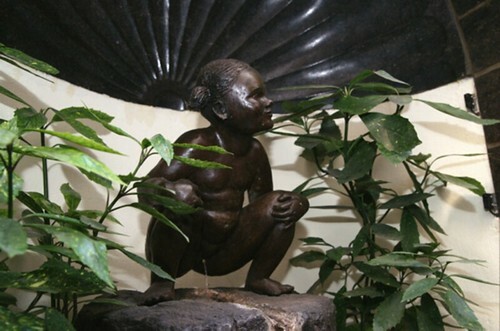 Manneken Pis can be found at Rue de l'Etuve 46, while his little sister is hanging out at Impasse de la Fidélité 10-12. Complete the walking tour with a visit to the cheeky dog at Rue des Chartreux 31. This creative hub in the Bois de Vincennes is an independent theatre centre on the grounds of an old gunpowder factory. 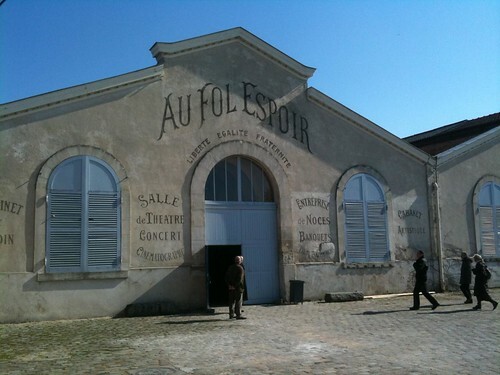 Warehouse theatres are dotted around an open gassy area perfect for whiling away a Parisian afternoon. There is an atmosphere of creativity in the air – with actors and arty types milling about during rehearsal breaks. Arrive early for a performance and you might be served by an actor ‘in character’. There are five theatres, hosting travelling shows, workshops and providing rehearsal spaces. Hidden among the leafy surrounds of Bois de Vincennes, the unique setting lends itself to a fantastic theatre experience, or simply a picnic with a Parisian twist. City break in Paris from £199, 2 nights including return flights. La Cartoucherie de Vincennes can be found at Route du Champ-de-Manoeuvre, 75012, Paris. Do you have any city break secrets to share with us? Comment below to let us know! Don’t forget to check out our full collection of European city breaks here.